Lung cancer kills more Americans—both smokers and nonsmokers—than colon, breast and prostate cancers combined. But the good news is, treatment options are now extending the lives of many people affected by this formidable disease. Latest development: Recently announced treatment breakthroughs provide new hope for people with non-small cell lung cancer (NSCLC)—the type of malignancy responsible for 85% of all lung cancers. • Immunotherapy. Some of the newest treatments for NSCLC are immune checkpoint inhibitors—drugs that energize the immune system to kill cancer cells by blocking one of two cancer-promoting proteins, PD-1 and PD-L1. These drugs include pembrolizumab (Keytruda), the immunotherapy treatment credited with saving the life of former President Jimmy Carter when melanoma spread to his brain…nivolumab (Opdivo)…atezolizumab (Tecentriq)…and durvalumab (Imfinzi). Typically, these drugs are used only as second-line therapies for patients with advanced disease who haven’t responded to other types of treatments, such as chemotherapy. But several studies presented at the 2018 annual meeting of the American Association for Cancer Research show that immunotherapy can work as a first-line therapy for people with advanced NSCLC, improving survival. New scientific findings: A combination of the immunotherapy drug pembrolizumab and chemotherapy worked better than chemo alone as a first-line treatment for patients with metastatic NSCLC—69% were still alive after one year in the combo group, with only 49% alive in the chemo-only group, according to a one-year study published in The New England Journal of Medicine. In a similar one-year study, patients with stage IV lung cancer were given either chemotherapy or two immunotherapy drugs—nivolumab and ipilimumab (Yervoy), which blocks CTLA-4, a protein similar to PD-1. Those treated with immunotherapy were 42% less likely to have their disease progress than those who received other treatment. Meanwhile, research focusing on the use of immunotherapy without chemotherapy as a first-line treatment—reported at a recent meeting of the American Society of Clinical Oncology—also delivered positive results. The stage IV NSCLC patients getting pembrolizumab lived four to eight months longer than those getting chemo. Only 18% of the immunotherapy patients suffered severe side effects, such as inflammation of the lung, liver or colon, versus 41% of those in the chemo group. Takeaway: With the impressive results of these studies, first-line treatment with an immunotherapy drug with or without chemotherapy is now the standard-of-care for most cases of advanced NSCLC. If a test of your tumor tissue shows that you have a high PD-L1 activity—and one-third of patients with NSCLC do—then single-agent immunotherapy might be the best first treatment for you with or without chemotherapy. Patients whose tumor does not express high levels of this marker still benefit from the combination of immunotherapy with chemotherapy in the majority of cases. Talk to your oncologist. • Gene-modulating drugs. This type of therapy uses drugs to turn off one of several genetic mutations (oncogenes) that can drive lung cancer. An estimated 10% to 20% of NSCLC patients have the epidermal growth factor receptor (EGFR) mutation, which is treated with drugs such as erlotinib (Tarceva), afatinib (Gilotrif), gefitinib (Iressa) and osimertinib (Tagrisso). An estimated 5% have the anaplastic lymphoma kinase (ALK) mutation, which is treated with drugs such as crizotinib (Xalkori), ceritinib (Zykadia), alectinib (Alecensa) and brigatinib (Alunbrig). These oral drugs are so powerful that they can, in rare cases, extend life by five years or more. However, the newer and more effective of these drugs—such as alectinib for ALK—has been used as a second-line therapy. Now this treatment paradigm is changing. New scientific findings: In a study published earlier this year, more than 500 NSCLC patients with an EGFR mutation got either osimertinib as a first-line treatment or the previous standard therapy (erlotinib or gefitinib). After 12 months, those taking osimertinib had a 54% lower risk for disease progression or death. In April of this year, the FDA approved osimertinib for first-line treatment of metastatic NSCLC. In a study of more than 300 metastatic NSCLC patients with the ALK mutation, the disease progressed or death occurred in 41% of those receiving alectinib (a newer more effective drug) compared with 68% receiving crizotinib, an older drug, after about a year and a half. The alectinib group also had fewer side effects. Patients receiving alectinib had control of their tumors for almost three years, on average. Takeaway: If you are diagnosed with NSCLC, get tested to find out if you have a genetic mutation driving the disease. If you do, talk to your oncologist about the best gene–targeting drug for you—patients with these mutations often do not benefit from immunotherapy. 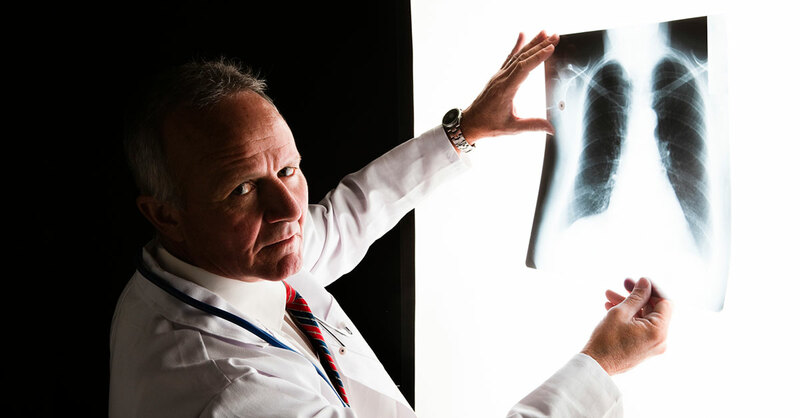 The gold standard for biopsies in NSCLC is a tissue biopsy—removing a portion of the tumor and testing it—to identify the specific type of cancer and genetic mutations that inform treatment decisions. Problem: In many cases, a tissue biopsy isn’t possible—for example, the position of the tumor in the lung or other organ may make it too difficult to biopsy, or the patient may have emphysema. Solution: A liquid (blood-based) biopsy can be used when a tissue biopsy is not an option. The FDA approved liquid biopsy for lung cancer in 2016. 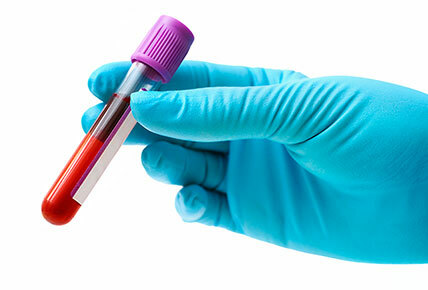 A recent study published in JAMA Oncology suggests that combining liquid biopsies with tumor biopsies can improve the chance of finding a targetable mutation. Ask your oncologist if this is right for you. FoundationOne and Guardant360 are the two most widely used liquid biopsies.